Dimensions 0.50 by 5.75 by 5.25 in. from Lightning Source Inc (December 30, 2007); titled "Nineteen Eighty Four"
About: Nineteen Eighty Four, by George Orwell - Akasha Classics, AkashaPublishing. from Createspace Independent Pub (October 9, 2015); titled "Nineteen Eighty Four"
from Createspace Independent Pub (March 14, 2014); titled "Nineteen Eighty Four"
About: Nineteen Eighty-Four, sometimes published as 1984, is a dystopian novel by George Orwell. from Lightning Source Inc (January 30, 2008); titled "Nineteen Eighty Four"
from 1st World Library (September 30, 2004); titled "Nineteen Eighty Four"
About: A satire on the horrors of totalitarianism, 'Nineteen Eighty-Four' is set in a society run by Big Brother where people are made to conform to orthodoxy by the Thought Police. About: An apocalyptic tale set in a nation ruled by Big Brother, where speech is doctored and thoughts are controlled by totalitarian agents. With Mary Ellen Gronau | from Bantam Books (August 1, 1989); titled "Passionate Warriors"
About: 1984 has come and gone, but George Orwell's prophetic, nightmare vision in 1949 of the world we were becoming is timelier than ever. About: Hidden away in the Record Department of the sprawling Ministry of Truth, Winston Smith skilfully rewrites the past to suit the needs of the Party. About: Nineteen Eighty–Four is George Orwell's terrifying vision of a totalitarian future in which everything and everyone is slave to a tyrannical regime. 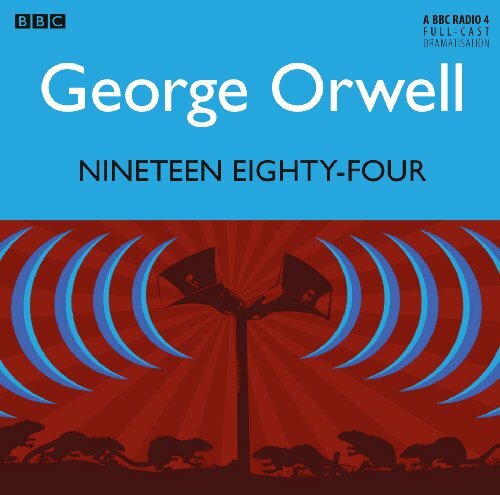 About: George Orwell's classic novel serves as a warning to future generations of the evils that arise from a life under constant surveillance by an all-knowing government. About: Portrays life in a future time when a totalitarian government watches over all citizens and directs all activities.